NWS: NW-WW1 is a continuation of the NWS: Naval Warfare series of comprehensive naval wargames covering entire time periods of naval combat. Easy to learn yet fun to play and detailed for the scale represented thus giving quality combat results. 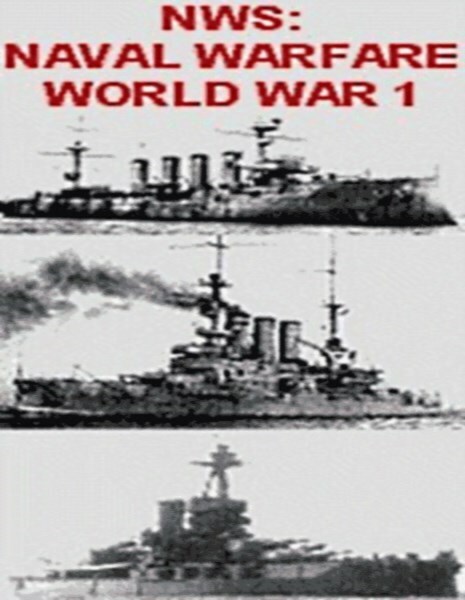 NWS: NW-WW1 is designed to cover many of the major navies that fought during WW1 and includes submarines, seaplane carriers, aircraft, dreadnoughts, pre-dreadnoughts, battlecruisers, armored cruisers, light cruisers, destroyers, coastal batteries, land units, and much more! Data cards show the combat details of each individual class of ship, sub, and aircraft and are represented with detailed side view graphics for easy recognition. Solitaire and multiplayer rules are included. Future expansion packs will include even more units and navies. Free downloadable combat assistance program with sound effects and combat animations! * 50 page printed rule book with 20 scenarios in 3 ring clasp folder. * Two standard six-sided dice required for play. * Any common Red, Yellow, and Orange game markers/pieces may be used for play.